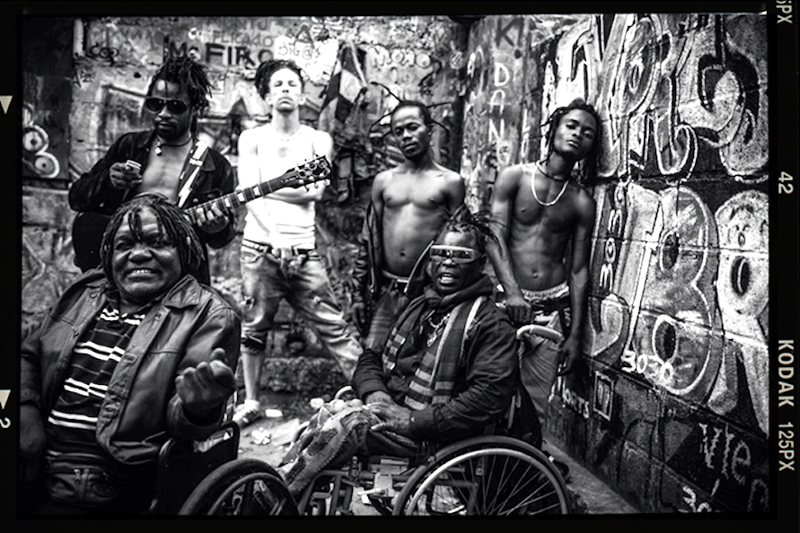 Listening to Mbongwana Star’s excellent track Malukayi reminds one that perhaps in the future a popular culture sea change will not be the preserve of America or Europe. Cultural trends and changes are happening in the most unlikely of places, and some it is getting a nominal but important degree of attention in primary media markets like Britain. As the economies, educational prosperity and aspirations improve elsewhere and stagnate everywhere else, perhaps there’s reason to think things like pop music in the next thirty years will sound unlike anything we can possibly conceive at present. The above statement is absolute suspicion, but Malukayi is actually a song that was played on alternative UK radio. That means station programmers deemed it somewhat relevant and accessible enough for inclusion. It’s a small step but perhaps it’s also a significant move. Then again, it may be nothing more than a welcome hipster blip. Hailing from Congo’s capital city Kinshasa, Mbongwana Star has created a song utilising traditional Congolese chanting and distorted mbria instrumentation, but warping it enough to prove truly leftfield and new-wave, especially in its post-punk guitar work. The track was produced by Parisian sound engineer Doctor L, which makes this proper original fusion music.